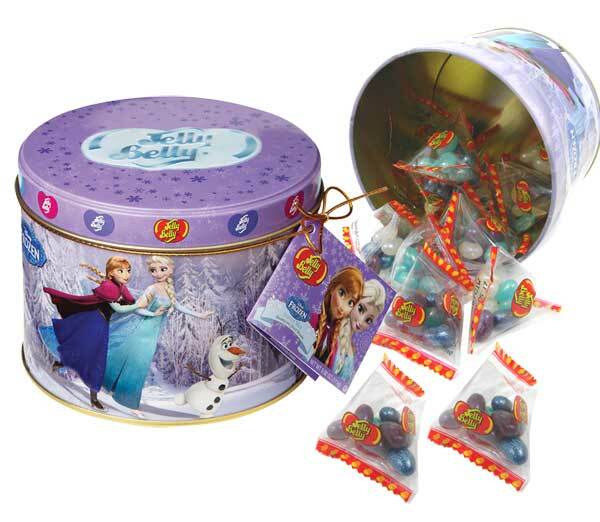 Little girls will go crazy over this Jelly Belly Frozen-themed tin! The purple decorative tin pictures Queen Elsa, Princess Anna, and Olaf ice skating. Each tin is filled with individually wrapped packages of sparkling Icicle Mix jelly beans. Each Jelly Belly Frozen tin is 3.92 oz. Jelly Belly Frozen Jelly Beans are kosher, gluten free, peanut free, fat-free, and vegetarian-friendly.